WASHINGTON — Jared Kushner failed to disclose dozens of financial holdings that he was required to declare when he joined the White House as an adviser to President Donald Trump, his father-in-law, according to a revised form released Friday. A separate document released Friday also showed that Kushner’s wife, presidential daughter Ivanka Trump, had been paid as much as $5 million from her outside businesses over an 84-day span this spring around the time she entered the White House as a senior adviser and pledged to distance herself from her outside holdings. Kushner’s new disclosure, released by the White House, detailed more than 70 assets that his attorneys said he had inadvertently left out of earlier filings. The new document comes as the presidential aide faces increasing scrutiny as part of investigations into alleged Russian influence in the 2016 campaign. In recent months, Kushner also has updated a national security questionnaire in which he had failed to disclose more than 100 calls or meetings with representatives from foreign countries - and he is scheduled to appear Monday at a closed-door meeting of the Senate Intelligence Committee. Kushner’s financial disclosure has been updated 39 times since his first filing in March. Frequent revisions are not unusual for appointees with many holdings. ‘‘The Office of Government Ethics has certified Jared’s financial disclosure, reflecting its determination that his approach complies with federal ethics laws,’’ Gorelick said. He added that Ivanka Trump’s financial disclosure, which was filed in June, is still being reviewed by the agency. The filings underscore the enormous wealth of the young couple, who stepped down from day-to-day management of their companies before assuming their public posts. Kushner resigned from 266 corporate positions and Trump stepped down from 292 positions, the documents show. But they still control assets worth at least $139 million, along with another $66 million, at minimum, of assets that are tied to Trump’s stakes in her fashion brand, the Trump hotel in Washington and other real estate projects, according to the filings. And they both continue to draw large sums from outside interests: The couple has jointly made at least $102 million since the start of 2016, the documents show. Trump gave up her right to performance-linked payments from three Trump real estate companies and instead receives fixed payments totaling $1.5 million a year. But she continues to reap a share of the profits from her fashion brand, where executives said sales climbed more than 20 percent last year and continue to rise this year. Ivanka Trump has stepped down from day-to-day management of her company, which has come under criticism from labor advocates for its lack of oversight of its operations overseas, but has retained ownership. Between March 9 and May 31, Ivanka Trump made between $1 million and $5 million from a trust valued at more than $50 million that now holds her fashion business’s collection of shoes, clothes, handbags and other goods. The business earned her more than $5 million between Jan. 2016 and March 2017, disclosures show. Ivanka Trump also listed receiving $2.4 million in hotel-related revenue from the Trump International Hotel in Washington. She said she earned $787,500 from a publisher’s advance for her book ‘‘Women Who Work,’’ which debuted in May. And she reported $2.5 million in salary and severance from her ‘‘continued participation in employer-sponsored 401(k) plan’’ of Trump Payroll Corp., a side entity that handles Trump Organization wages. For his part, Kushner earned millions from his family’s real estate over the past year, his filing shows. He pulled in between $1 million and $5 million between January 2016 and March 9 of this year from BFPS Ventures, a holding company valued at between $5 million and $25 million. An earlier version of Kushner’s disclosure form described BFPS as a company focused on ‘‘real estate in New York.’’ However, public documents revealed, and Kushner’s legal team later confirmed, that it held a wide range of entities, including an Oklahoma oil and gas firm that has been sold. But Kushner and his legal team reversed course on selling the entire company. Instead, Kushner sold off a number of its assets, including an investment in an Argentine venture capital firm; a stake in FabFitFun, a beauty and wellness subscription company; and dozens of government and corporate bonds, the documents show. He retained interests in more than two dozen properties in New York, New Jersey, Philadelphia and Maryland. The holding company now also includes a $5 million to $25 million stake that Kushner has in Cadre, an online real estate investment platform he co-founded with his brother, Joshua. Last month, Cadre raised $65 million in venture capital from investors that included Goldman Sachs and Andreessen Horowitz. Cadre is now valued at an estimated $800 million. 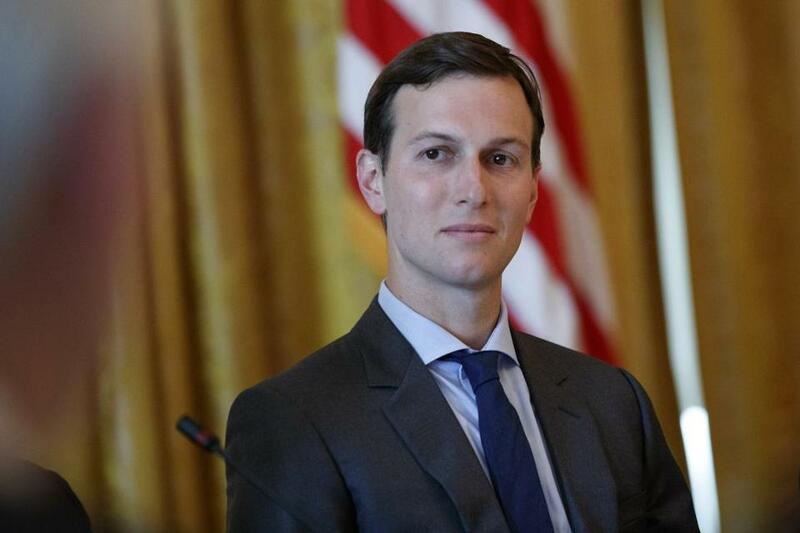 As a senior adviser to Trump, Kushner has vast purview, including a role heading the newly formed Office of American Innovation, which collaborates with the private sector to improve government. Among the assets Kushner sold were corporate bonds he held in Exxon Mobil, as well as public bonds from Israel and more than two dozen states and municipalities, including Boston, Westchester County, New York, and the Maryland Department of Transportation. Kushner did not report in his disclosure a $285 million loan that his company received from Deutsche Bank one month before the election. Kushner signed as a guarantor of that loan under certain circumstances, such as fraud or misapplication of funds. Kushner’s lawyer, Blake Roberts, has said that government rules do not require the disclosure of such loans because he doesn’t have a ‘‘present obligation to repay’’ it. A Kushner representative said Friday that the OGE did not indicate that the loan had to be reported. The Deutsche Bank loan resulted from the refinancing of four retail floors of the former New York Times headquarters at 229 43rd Street in New York. The Washington Post’s Amy Brittain and Michael Kranish contributed to this report.